Property 6: Sea side bungalow with two floors. Property 12: Bungalow in Resort Villas of Pratagy with Jacuzzi Exclusive! Atibaia, residential condominium Portal Ouro Verde next to the HotelTauá Resort. Property 14: Atibaia, residential condominium Portal Ouro Verde next to the HotelTauá Resort. Property 20: Full bungalow with a privileged view !!! Duplex bungalow, 3 suites in luxury condominium with complete leisure area. 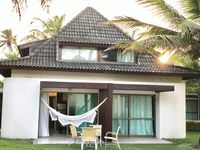 Property 21: Duplex bungalow, 3 suites in luxury condominium with complete leisure area. Property 22: Bungalow SEASIDE = 3 BEDROOMS. FURNISHED. 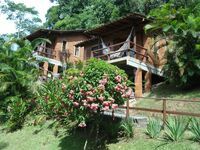 Property 23: Sítio Rochedo: large house, beautiful view, thermal pool, climate of serra and leisure. HOUSE THE BORDER OF THE DAM C / SWIMMING POOL, BARBECUE AND POMAR IN CONDOMINIUM CLOSED. Property 38: HOUSE THE BORDER OF THE DAM C / SWIMMING POOL, BARBECUE AND POMAR IN CONDOMINIUM CLOSED. Property 41: SAILS OF IBIÚNA. BOOK AT THE ATLANTIC MATA JOY, PROMOTIONAL PACKAGES. Property 45: Comfortable site, all ages, beautiful view, rest and adventure sports. Property 46: Wonderful, Sitio Recanto dos Sonhos, great accessibility, Ideal for Family.